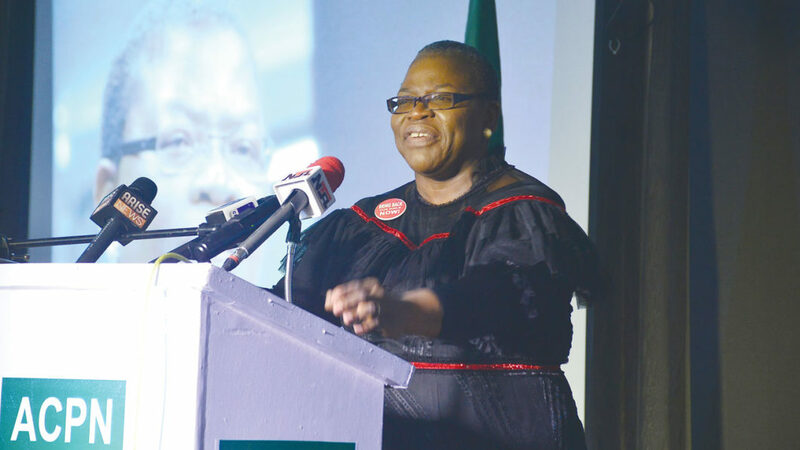 Former Nigeria education minister and presidential candidate of the Allied Congress Party of Nigeria (ACPN) Obiageli Ezekwesili has said the purported political grassroots structure owned by the national leader of All Progressives Congress (APC) Asiwaju Bola Tinubu have been grossly overestimated. â€œAt the end of the day, the #APCPDP, the twin terrors of Nigeria, only managed to conjure up 140,000 votes between them. In Almighty Alimosho. This says something loud and clear, that Asiwaju Bola Tinubu with all of his â€˜mightâ€™ and experience in so-called grassroots politics could, at the end of the day, deliver only 86,897 votes for his candidate Buhari and their party,â€ Ezekwesili said in a opinion piece published by The Guardian on Monday. Last week, she urged Nigerians not to give President Muhammadu Buhari nor candidate of the Peopleâ€™s Democratic Party Atiku Abubakar the chance of holding on to power after 2019 presidential election, saying they are the same side of a coin. Although there had been questions of whether Ezekwesili has a political structure to oust Buhari during the 2019 election, considering his power of incumbency and Tinubu as his ally, she insisted she was capable of upstaging the two front runners. Tinubuâ€™s political clout, which has enjoyed local and international reference, is evident in Lagos state. The former governor of Lagos State, through his political structure and a band of very loyal followership, has been able to outclass other parties from taking over power in the state. On two occasions, his anointed candidates â€“ Babatunde Fashola and Akinwunmi Ambode â€“ were elected governors of the state. Another of his supposed political godsons, Babajide Sanwo-Olu, defeated Ambode, who is the current governor of the state, in the APC governorship primaries held last month. A day before the primaries were held, Tinubu publicly disowned his erstwhile political godson Ambode and vouched for the candidacy of Sanwo-Olu. In 2015, Tinubu, known as Jagaban, cemented his reputation as a political genius with the role he played helping to orchestrate the downfall of the then Nigeriaâ€™s sitting president, Goodluck Jonathan to end PDPâ€™s reign since 1999. However, Ezekwesili said data available from the previous election has shown that Tinubuâ€™s â€˜mightyâ€™ grassroots followership was overrated than how much it is. â€œHow is she going to win? Does her party have the reach or the structure to go all the way and carry the day eventually? But you see, these questions, while valid, all come from a place of trepidation,â€ she said. She stated that her campaign was focused on the number of electorates who were fed up of the political status quo of APC and PDP at the helms of affairs in the country. â€œThe data shows otherwise. The 500,000 persons in Alimosho who were so unimpressed by the #APCPDP that they refused to come out to vote are the numbers who will probably decide the 2019 elections. They are the numbers my campaign is seeking to activate,â€ Ezekesili said.